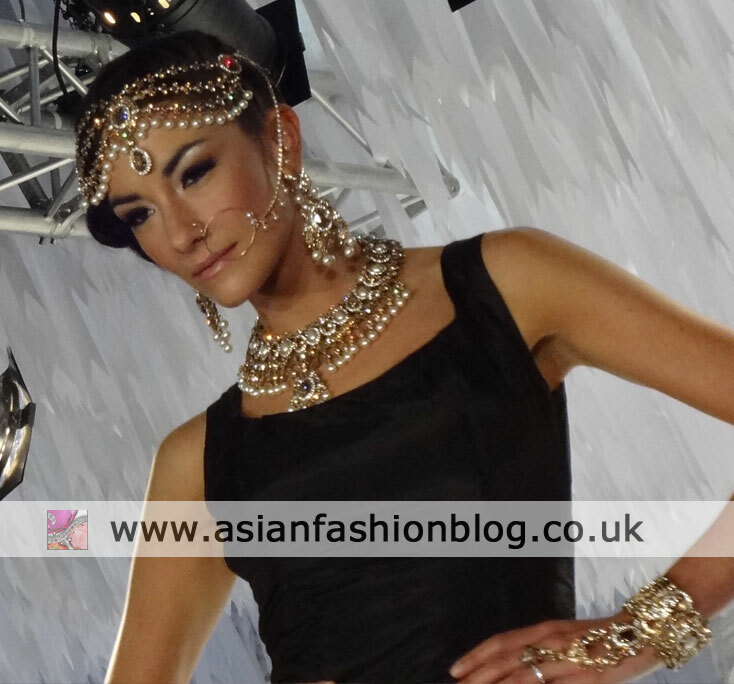 Here are some of the pieces on the catwalk by Kyles Collection at the 2012 Asiana Bridal Show London. 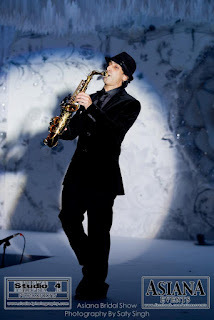 To set their scene, they had a live saxaphone player - Pavan Verma. 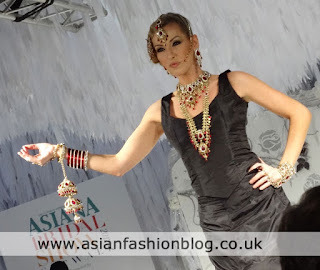 Kyles have been designing jewellery pieces to be worn with hijab for some time so I expected that they would have one of these looks on the catwalk. I think they look beautiful, although I've never personally seen any real brides wearing any of these items - if you have, do share a link. 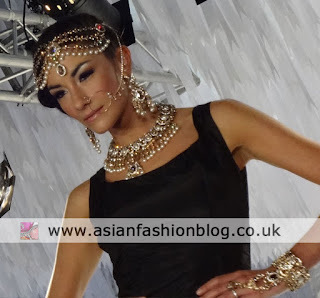 This pearl set below is one of my favourites from the show - the headpiece is the main attraction for me - I've managed to locate it on the Kyles website here - it's not cheap though: £380! As well as jewellery, Kyles also showcased some of their mens accessories and bridal bouquets. 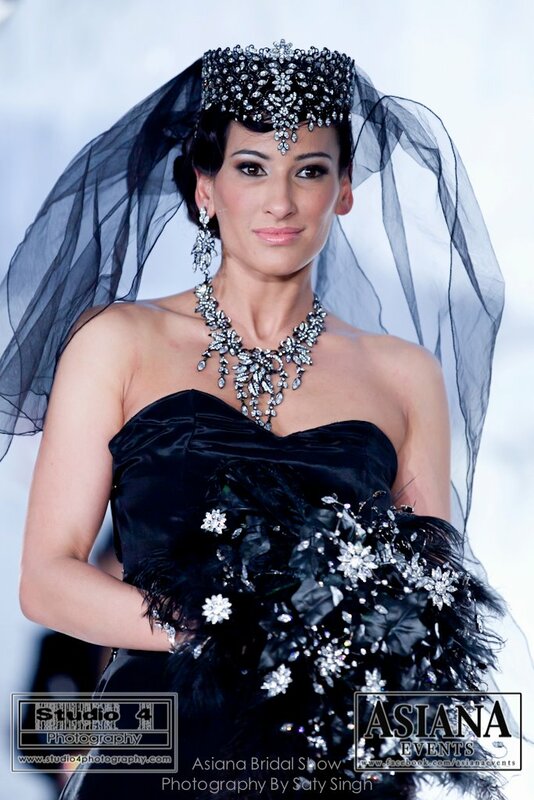 Both of these won't be to everyone's taste...I have heard some people describe jewelled bouquets as "tacky" but I think they can work if styled so that they complement the bride's outfit rather than being too matchy-matchy. 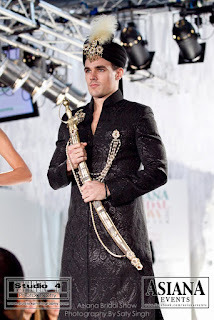 As massive thank you to Studio 4 Photography for the additional catwalk photos.